Reel Obsession Sportfishing Charters offers year round sport fishing in the Victoria area of Southern Vancouver Island ... along with world-class guided sport-fishing off the west coast of Vancouver Island in the Nootka Sound Region / Zeballos, British Columbia, Canada. For the experienced angler, corporate groups, or a family looking for an unforgettable time, Reel Obsession Sportfishing Charters will provide a thrilling fishing experience. We offer a variety of different charter fishing packages and are flexible in customizing your charter fishing experience to suit your needs. 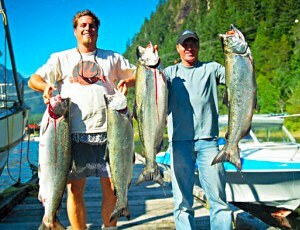 Southern Vancouver Island fishing offers an abundance of angling opportunities. 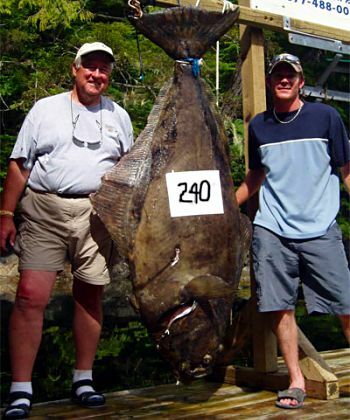 Here you'll find trophy Chinook Salmon weighing upwards of 60lbs and gigantic Halibut up to 200 pounds. Southern Vancouver Island offers easy access to an unforgettable charter fishing experience. Coho Salmon are available throughout the summer months and offer exciting action with their aerial displays. Pink Salmon and Chum Salmon are also present in Juan De Fuca Strait during periods at this time. and when the weather doesn't cooperate you can fish the protected waters of Nootka Sound and Esperanza Inlet. Not only does Reel Obsession Sportfishing offer amazing fishing opportunities, but the abundance of Wildlife itself is worth the trip! May and June in the Nootka Sound area brings the migratory Grey Whales. These magnificent mammals are some of the largest in the world, and there's also the chance of catching a pod of Orca's feeding on a school of nearby salmon. Sea Otters, Porpoise, Humpback Whales, Seals and Sea Lions are just some of the everyday occurrences Reel Obsession Sportfishing comes in to contact with while on the water. 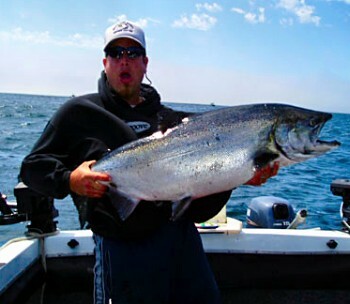 If a Vancouver Island fishing charter in the Victoria or Zeballos area of Vancouver Island British Columbia is what you're looking for, let Reel Obsession Sportfishing hook you up! Book early though for preferred dates and availability for your world class fishing charter. 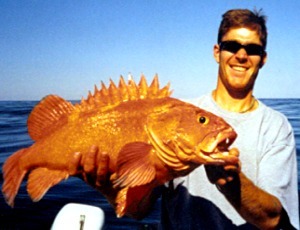 Reel Obsession Sportfishing - world-class sport-fishing on the west coast of Vancouver Island, British Columbia, Canada.